Sitemap.xml file for "Blogger Blogs" are linking of all (Blogger Posts) published by a user. if file did not include at list of "Static pages" which this sitemap, so these pages also don't appear in the sitemap at atom.xml & there is no way to publish a file on blogger blog. So Blogger now auto generates a separate dynamic sitemap for blog pages which contains list of all static pages published. 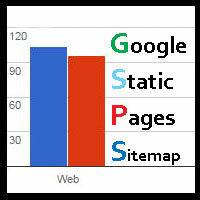 The sitemap for blogger,s blog, static pages is located at -- /sitemap-pages.xml. -- You can now easily submit your pages to search engines to properly get them crawled and indexed in Google search engine. 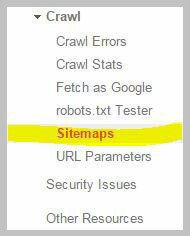 You can access your pages sitemap by typing the following (URL) in your browser bar. Just replace below Domain with your blog,s domain name. For example look my sitemap. Submit your static pages to Google so that search robots could index. 1: Go to Google search console, at "Google webmaster tools"
4: Now click (ADD/TEST SITEMAP) button towards yours top right side. 5: Insert sitemap "pages.xml" inside the text field. You can applies same method for all other search engines like Yahoo & Bing etc. Why Static Pages not indexed by Google? Google can only index pages which have not been tagged as (noindex). If you have selected the (noindex) option from page settings while publishing a Page using blogger editor then this page will be submitted to Google by the sitemap but it will not be indexed unless you uncheck this (noindex) box at right side of your blogger post writing page. 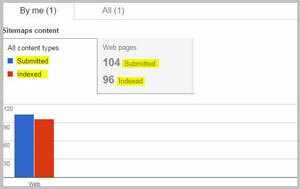 For example in my case i have submit 104 pages but only 96 are indexed. This is because we have set 8 pages as noindex.